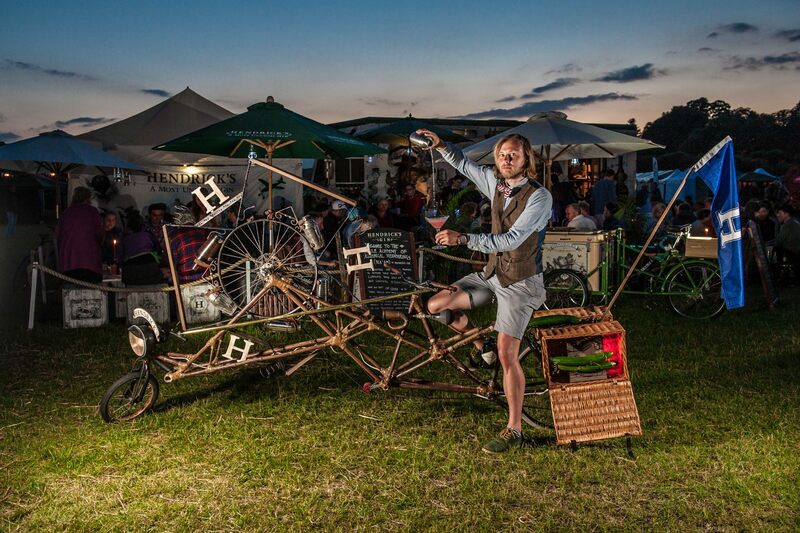 To celebrate the highlight of the cocktail calendar, London Cocktail Week (6-12th October), Hendrick’s Gin are shaking things up with The Boneshaker – the world’s first pedal-powered cocktail shaker. This curious contraption will park up at Brooks B1886 in Seven Dials, as an invitation to discerning drinkers across the capital to lubricate the cogs of conversation at the Hendrick’s Boneshaker Cocktail Bar. In addition, to celebrate the end of the working day Hendrick’s Presents The No Rush Hour Society. As the clock strikes six, The Boneshaker will circumnavigate the cobbled streets of Seven Dials, in the process mixing an array of palate pleasing cocktails, which, on its return to Brooks B1866, will be used to toast the arrival of The Cocktail Hour. Spaces to this unusual occurrence are limited and will be allocated on a first come first served basis from 6-7pm on Thursday 9th through to Sunday 12th October. The Hendrick’s Boneshaker Bar will be open Thursday 9th- Sunday 12th from 13:00-21:00pm in Brooks B1886 Store, 36 Earlham Street, WC2H 9LH.